When you visit our garden center, you’ll find an incredible variety of autumn “bulbs.” Although they may look strange at this time of year, these “ugly ducklings” will become beautiful swans in your spring garden. It’s hard to imagine how these odd lumps can grow underground and become so gorgeous, but if you plant them now you will enjoy an incredible floral display next spring and summer. 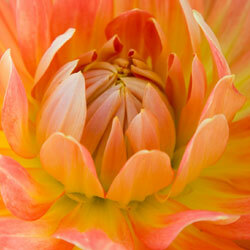 Did you know many bulbs will increase in quantity over time? Most gardeners simply divide their bulbs after a few years and move them to other parts of the garden or give extras away to friends. 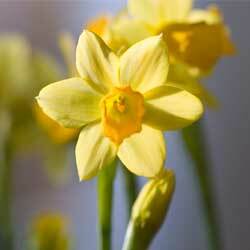 Dividing your yield is easy when you identify what type of bulb you are dealing with. There are five distinct types of “bulbs” and although not all of these are available in the fall and some are not winter hardy, it is important to mention them to be able to understand their differences. Grows horizontally from the pointed ends. 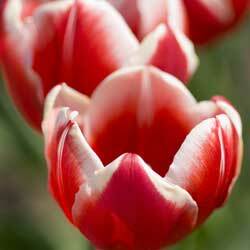 As this bulb matures, it branches and develops other pointed growing ends. Roots grow from the bottom. Cut the rhizome into sections and ensure each piece has at least one pointed growing tip. Actually a swollen root, new tuberous roots grow in a cluster from the base of the plant’s old stem or central crown. Divide the root cluster so each division includes roots and one or more growth buds from the stem base. True Bulb Allium, Hyacinth, Lily, Daffodils, Snowdrops, Tulips Roundish shape with a pointed tip, covered with scales, and has flattened base plate where roots form. May have a papery outer skin. Forms little bulbs, “offsets” at base. Separate small offsets and plant individually. Similar in shape to true bulb however there are no scales. Covered by a “tunic” of fibers. A corm decomposes each year; a new corm develops on top with smaller corms (cormels) on the sides or along the base plate. Separate new corms from smaller corms and plant individually. Transplant them into different parts of your yard to create a uniform, coordinated landscape with similar plants. Give them away to neighbors, family members, friends, coworkers or anyone who would like to add new flowers to their yard. Donate them to churches, schools, parks, senior centers or other places where extra flowers for landscaping will be appreciated. As your bulbs continue to multiply, you will enjoy having more and more to choose from to create your ideal colorful, fantastic floral landscape.